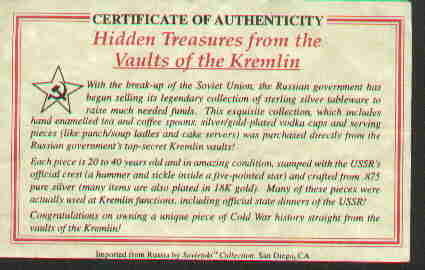 Some higher quality silver and enameled vermeil spoons were produced by the Russians during the Communist era. During this time period, the authorities did not emphasize the artistic endeavors of the previous time and the quality of the workmanship is much lower than during the Czarist era. 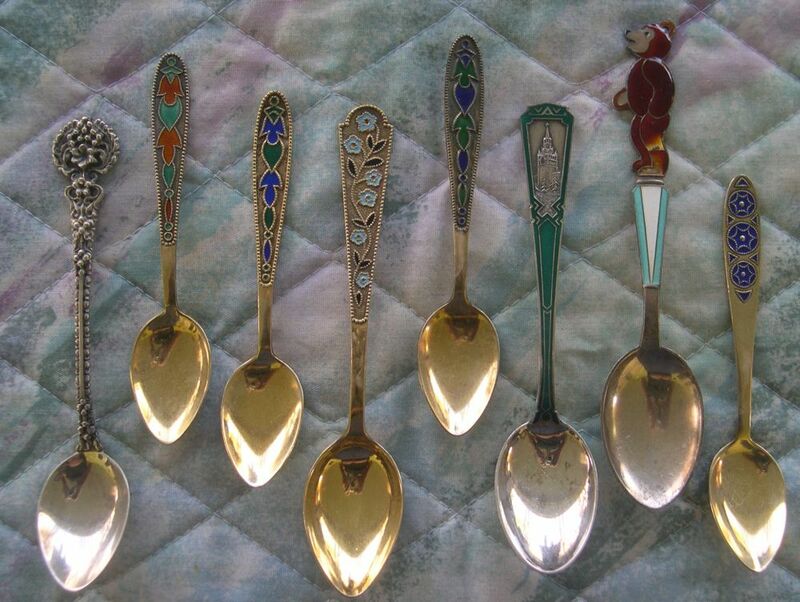 These spoons are very similar to the modern Norwegian enamel spoons but are still desireable collectibles even though they are not nearly as nice as the czarist spoons. These silver enameled character spoons from Russia are much prettier than the modern character spoons that we mass produce in this country. The spoons are available with at least 6 different figures which I have seen. A number of gold plated non-sterling souvenir spoons were produced by several of the Eastern European countries. While these do have colored bowl pictures, they are of the same quality as the souvenir spoons found in modern tourist shops and are of questionable desireability as collectibles for the most part. (A link to some of these is below).